South Africa is honoured and humbled by its election as a non-permanent member of the UN Security Council and will dedicate its tenure to late former president Nelson Mandela, International Relations and Cooperation Minister Lindiwe Sisulu said on Saturday. The election marks the country’s third term on the council, having previously served in 2007/8 and 2011/12. “Our tenure in the Security Council will be dedicated to the legacy of President Nelson Mandela and his commitment to peace,” Sisulu said in a statement. 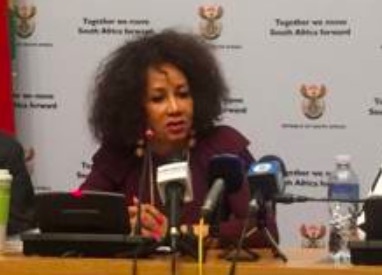 Sisulu said the focus would be on promoting the maintenance of international peace and security through advocating for the peaceful settlement of disputes and inclusive dialogue. Sisulu said peace could not be achieved without women’s participation in various activities. “During our tenure, we will ensure that a gender perspective is mainstreamed into all Security Council resolutions in line with UNSC Resolution 1325 (2000) on Women, Peace and Security.”Sisulu said they were guided by the African Union’s resolution to ‘Silence the Guns’ by 2020.